These beautiful Farmhouse lanterns, made of galvanized metal & glass, resemble the look of traditional European street lamps. They exude beauty and history with their timeworn look…White leather handle and wood antique style. 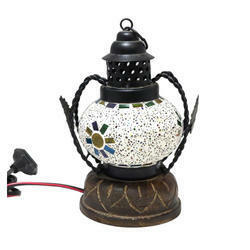 We are offering Wooden Lantern With Metal Top. Wood, S.Steel & Glass Lantern. 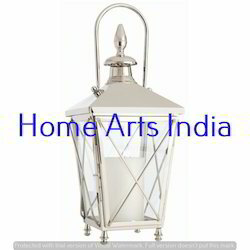 Candle Lantern with Stainless Steel Top And Wooden Structure. We are the leading Manufacture supplier exporter of Wooden Cylindrical Lantern and offer this product as per client requirments this product Made by our expert with the Great quality and i am looking For bulk orfer with Foreign query like Australia , Uk , Usa . Decorate your home with our latest collection of Wooden Lanterns that are known for their attractive designs and quality. These lanterns are the perfect blend of traditional and contemporary design to add classy appeal to your living room. We offer these lanterns in different polishing and sizes to meet the demands of the clients.